Artists United Against Apartheid was a 1985 protest group founded by activist and performer Steven Van Zandt to protest apartheid in South Africa. The group produced the song "Sun City" and the album Sun City. Inspired by the South African anti-apartheid movement, the Palestinian call to the international community for a comprehensive economic, cultural and academic boycott of Israel was issued in August 2002. The cultural boycott of Israel has gained momentum around the world with artists of conscience once again taking a stand against apartheid. In October 2010 a group of Israeli citizens wrote to the Cape Town Opera (CTO) requesting it not to tour their country. This came on the grounds of Israel's discriminatory laws, war crimes and because Palestinians living there would be barred from attending the opera. The campaign calling on the CTO to cancel its tour received much support within South Africa, including backing from the national SA Civil Society Conference (comprising over 300 delegates from 56 mass-based civil society organisations.) Subsequently, the South African cultural boycott of Israel declaration, ‘South African Artists Against Apartheid’, was launched on 1 November 2010. 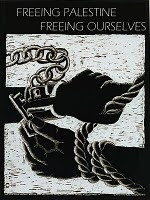 This website is dedicated to the declaration launched on 1 November 2010 by South African Artists Against Apartheid. You can follow the campaigns and events initiated by South African Artists Against Apartheid on this website, as well as recent news relating to international cultural boycott activities. This website is maintained by the Boycott, Divestment and Sanctions Working Group (BDS Working Group). The BDS Working Group is an autonomous unit affiliated with the Cosatu-led Coalition for a Free Palestine (CFP). The group works on furthering Boycott, Divestment and Sanctions of Israel in South Africa.